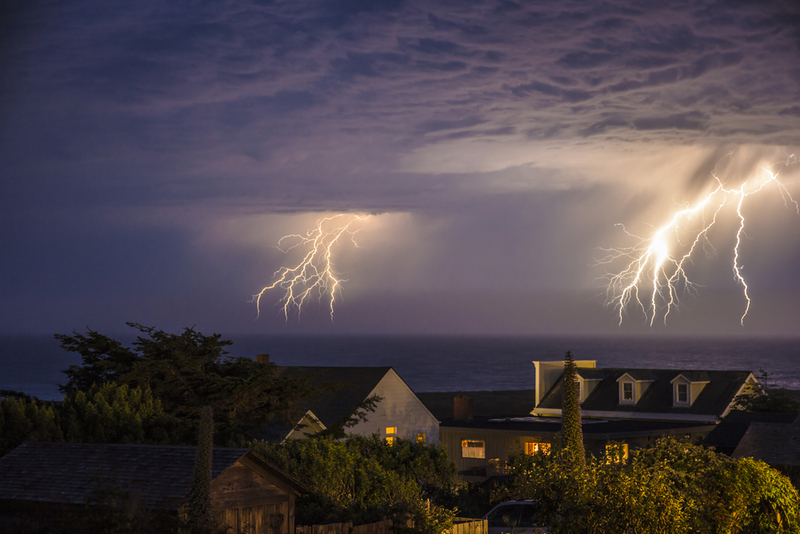 Earlier last week, a powerful storm swept across the West Coast, bringing much-needed rain and snow with widespread blackouts in Northern and Southern California. San Francisco Bay Area got the worst of it, with flooding freeways, toppling trees and many people having to stay home from work and school. The “Pineapple Express” storm carried warm air and vast amounts of water in a powerful current stretching from Hawaii to the mainland and up into the mountains, where gusts were up to 140 mph. The high-speed winds brought down trees and caused property damage all the way down in Los Angeles. There are now two more storms lined up to hit Oregon, California and Nevada. Supposedly these storms will not match the intensity of the last, but substantial rain is likely. Now, there is evidence a tornado even touched down in Los Angeles in the storm. The National Weather Service confirmed that a small EFo tornado, the smallest type of tornado, touched down at 9:20AM on Friday. The twister knocked down trees, blew out windows and damaged an apartment complex’s roof and those of two homes and a steel billboard. In Oregon, strong winds caused a tree to fall, killing a homeless man who was sleeping on a trail, and a teenage boy died after a large tree fell on the vehicle he was riding in which then swerved and hit another tree. A huge gust blew down an 80-foot fir at a Santa Cruz elementary school, pinning a sixth-grader by the arm for 15 minutes until he was freed. Stay safe this holiday season by keeping up-to-date with weather warnings, and by protecting your home from harsh winter elements like snow, hail, and heavy rain.